is our first skyline diorama depicting the view from Central Park of some of Manhattan’s best skyscrapers along Fifth Avenue in 1939. Our model consists of, from left to right, the Hotel Pierre, Ritz Tower standing in the background, Sherry-Netherland Hotel, Savoy Plaza, Squibb Building, and the Plaza Hotel across the street. The diorama’s base measures 3-7/8” by 3” and is about 3-5/8” tall. 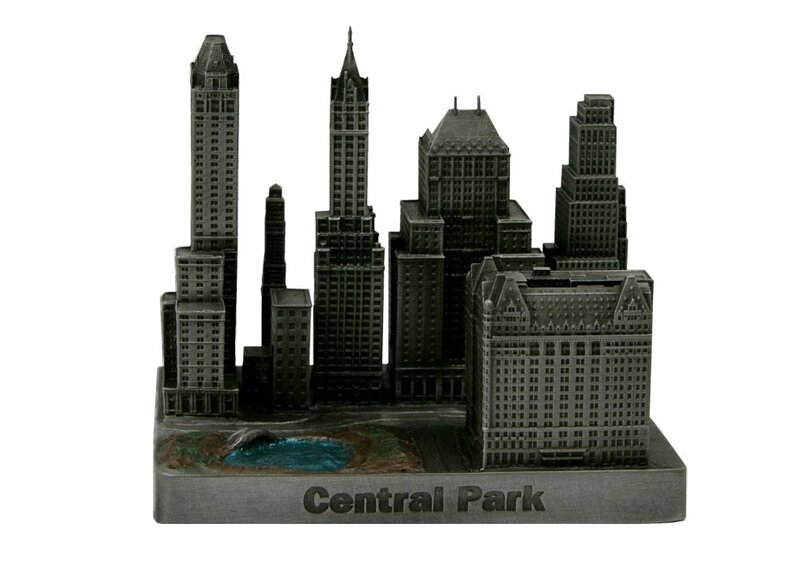 The model is finished in antique pewter with brown stain and green and blue highlights for central park pond.